January 2015: The Academy of Nutrition and Dietetics Foundation | Ridge's Stitches | Health Coach. Yoga. Clothing. Happy New Year! With the New Year upon us, many are striving for healthier habits. We challenge you to set a healthy intention at least one time this month. This month we will be showcasing delicious recipes, food tips, and even a 4 day cleanse to help you get on the right track! Ever heard the saying “you are what you eat?” Well you would be surprised at how true that actually is. We will be donating three percent of our profits to Eat Right with the Academy of Nutrition and Dietetics during the month of January. “Let food be thy medicine and medicine be thy food”-Hippocrates. Need an idea for a delicious dish? 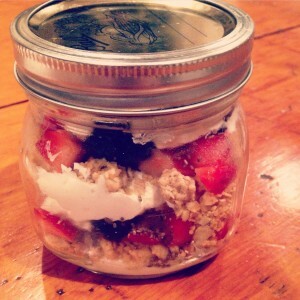 Head to our Ridge’s Dishes section of the blog for awesome healthy recipes. 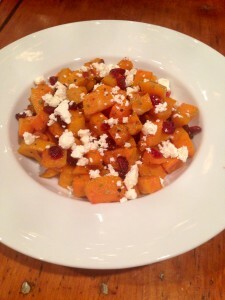 Roasted butternut squash and cranberries. Please visit Eat Right for more information!